Susan Roberson, a sophomore, is new to writing in a professional setting but is nonetheless very passionate about writing. She was originally inspired to join Shorecrest’s Newspaper Club in order to spread awareness about the changes surrounding Shorecrest this school year (some of which aren’t fully known of by the student body). Since childhood, she has always been surrounded been by various genres of books which she says fueled her “overactive imagination” and love for transferring her ideas to paper. Susan’s passion for writing emerged in middle school where she was given the opportunity to explore different genres of writing through a non-traditional curriculum. This opportunity enabled her to learn about the vast diversity of how people can express experiences, opinions, social changes and many more topics through simply using a pen and paper. This year, Susan hopes to read between the lines of different events that impact Shorecrest and make information of these impacts available to the Shorecrest community. Regretful that she couldn’t have been born in any other era, Susan immerses herself in history books and anything relating to the past. Similarly, in her free time she loves to indulge in movies and music from the 20th century, discover antiques and vintage clothing and learn about the world from before her time from relatives and anyone who’s willing to lend their voice to her. 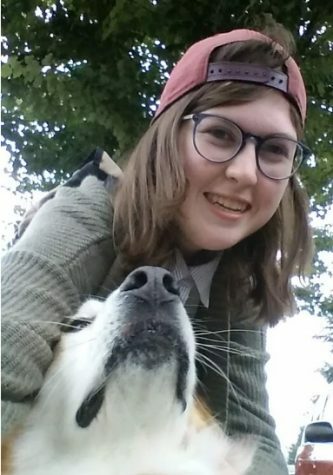 Besides being a history enthusiast, she also loves to play a multitude of different video games (especially games that could be considered “violent” or morbid and games that revolve around racing/crashing expensive cars), stalking her two dogs Lily and Tucker and watching horror movies that raise her paranoia/insanity level.